Mechanics & Industry. Volume 16, Number 7, 2015. WoS. Abstract. 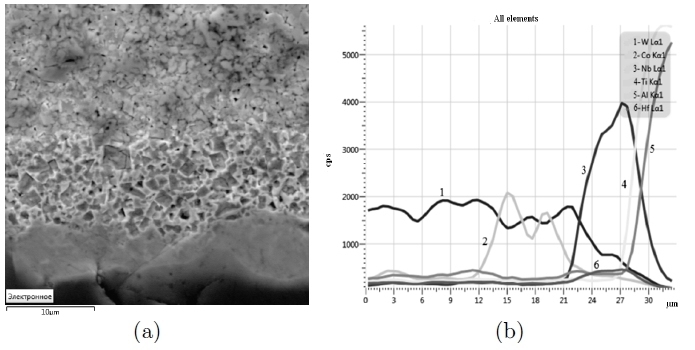 This work describes a whole processing route for obtaining dense and nanostructured zirconia-nickel composites with low contents of metallic phase (1–3.5 vol%). For the processing route, a combination of spray-freezing and lyophilization has been proposed. After the calcination and reduction of the resulting powders an X-ray and HRTEM characterization has been performed. This showed the formation of pure zirconia and nickel, well dispersed and homogeneously distributed, nanostructured phases. The obtained powders were subsequently sintered by Spark Plasma Sintering (SPS). As a result, dense ZrO2-Ni composites were obtained, revealing that the sizes of the metal particles were kept in the nanometer range and appear homogeneously and well dispersed into the ceramic matrix. The mechanical behavior of these materials was evaluated by means of the Vickers hardness, showing and increment of about 25% with respect to pure zirconia with only a Ni concentration of 1 vol%. TEM micrograph of the 2.5 vol% Ni powder with the overlap EDX mapping showing the location of the Ni nanoparticles (a) and HRTEM micrograph of a Ni nanoparticle epitaxially grown on the surface of a zirconia particle. The interface between both particles presents an excellent matching of atomic planes (b). Abstract. The alloying of surfaces of tool materials by wide-aperture low-energy high-current electron beam before wear-resistant coating is developed. This technology makes possible to enlarge a lifetime of cutting tools. The regularities of high-melting compounds formation in the near-surface layer are established. The high-melting compounds are obtained by reaction of self-spreading high-temperature synthesis. The microstructure of modified surface layers is investigated by optical microscopy. elements in the surface layer (top to bottom). Abstract. The method of production nanostructured ceramic Al2O3-SiCw-TiC with high operational properties by spark plasma sintering is developed in this work. The obtained nanoceramic material was compared to Al2O3-SiCw. The homogenous compound of initial nanostructured powders of different phases and sizes was made by the methods of colloid blending and spraying. The microstructure, hardness, fracture strength, phase’s analysis, electro conductive properties of the samples were researched. The electro conductivity of sintered nanocomposite Al2O3-SiCw-TiC enables to process it by electrical discharge machining. 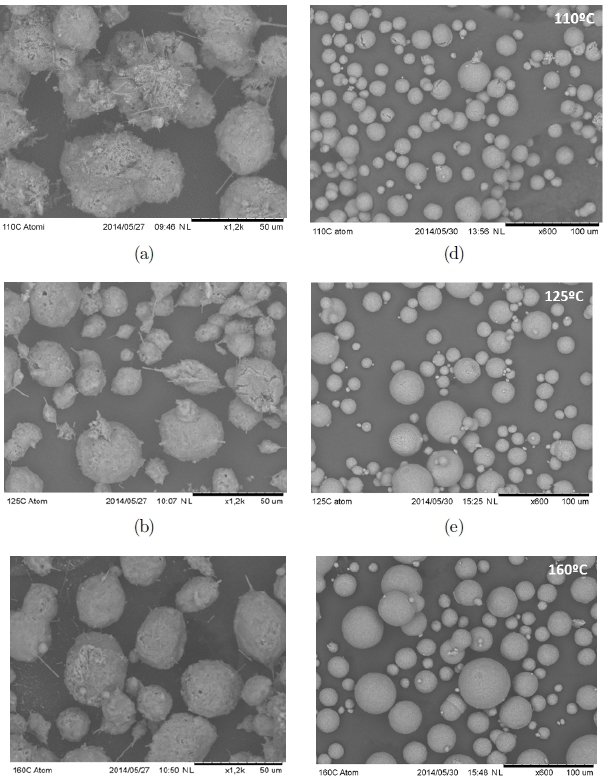 Granules of Al2O3-SiCw-TiC nanocomposite (36% of hard substance, 0.58% of deflocculant, 0.5% of bonding substance) after spray drying at: (a) 110 ◦C; (b) 125 ◦C; (c) 160 ◦C and a composition of 40% of the hard substance, 1.0% of the deflocculant, 1% of bonding substance at (d) 110 ◦C; (e) 125 ◦C; (f) 160 ◦C.